The first and most important step a Millennial should take is figuring out how much they can afford. Purchasing a home is one of the most significant financial investments Millennials will make in their lifetime. Although it can be an intimidating and complicated process, with the right preparation and research, buying a home can be manageable. National nonprofit American Consumer Credit Counseling offers helpful guidelines for Millennials on how to prepare to buy a home. According to the 2017 annual Profile of Home Buyers and Sellers, the largest share of home buyers (34 percent) are Millennials at 36 years old and younger. According to Apartment List, 80 percent of Millennials want to purchase a home, but many of them do not have enough saved. The survey found that 68 percent have less than $1,000 to put towards a down payment. ACCC offers important advice for Millennial homebuyers. 1. Check & improve credit – It is important for Millennials to check their credit report with all three credit reporting agencies to ensure there is no erroneous information on individual credit reports. Consumers should focus on making their credit score as healthy as possible. With a score of 760 or higher, consumers can qualify for the lowest interest rates. Anything below can still qualify, but the interest rates will be higher. 2. 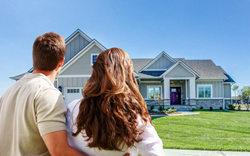 Take a pre-purchase homebuyer education class – Homebuyer education classes save time and stress. Offered both online and in person, these courses provide a thorough background on home buying advice and information, including different types of loans that may be available. 3. Know your budget – Millennials need to take a look at their budget to see if there is anything they can live without or cut back on. It is essential that Millennials know their limits when it comes to purchasing a house. Be sure to factor in all the expenses that come with owning a home, such as property taxes, insurance, potential HOA fees, maintenance and other costs. 4. Manage Debt – Pay down any outstanding debt including credit cards or current loans, such as a car loan or student loans. Paying down existing debt can help prepare consumers for the financial responsibility they are about to incur with homeownership. 5. Save – The more money Millennials can put down towards their mortgage loan, the more attractive they are to lenders. If a consumer can put down more than 20 percent, they will not have to pay private mortgage insurance.